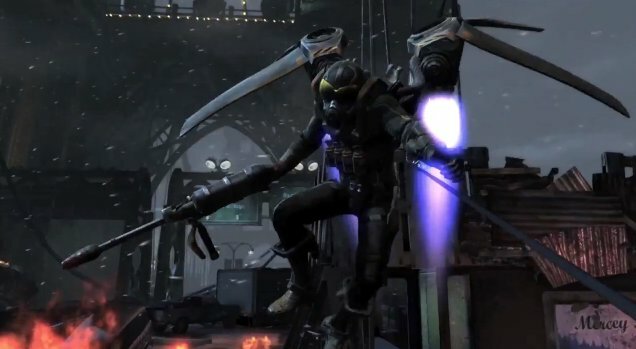 Batman: Arkham Origins fans were spot-on in their speculation about the next villain. 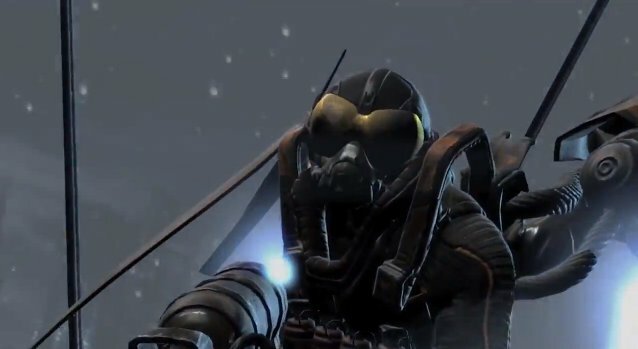 Today WB Games released a new trailer confirming that Firefly will be tussling with the Dark Knight in this prequel. 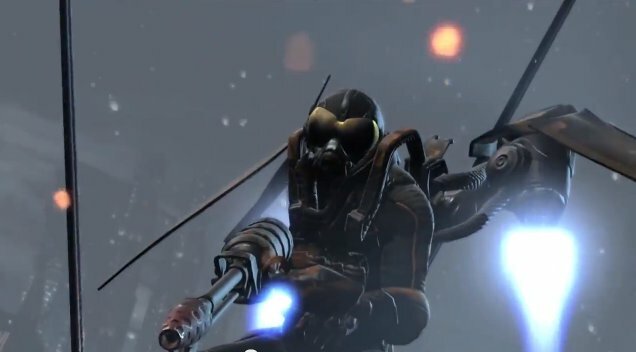 Firefly is a pyromaniac armed to the teeth with weapons to make Gotham burn. His arsenal includes a flamethrower and grenade launcher. 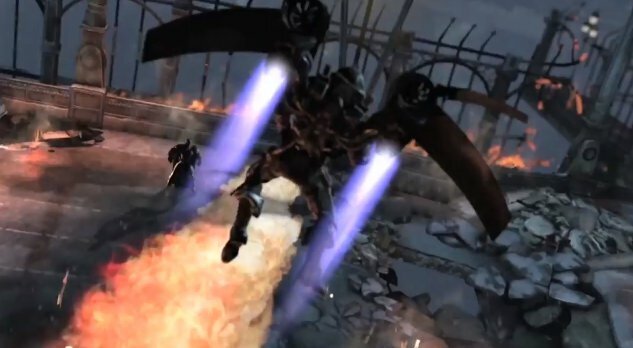 His wings and jetpack allow him to quickly escape whatever inferno he causes. 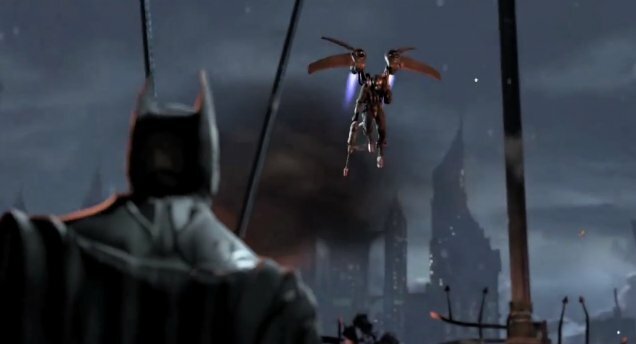 The trailer depicts an encounter between Batman and Firefly. Batman is racing through the streets of Gotham while Firefly rains down fire and explosions from above. Eventually Bats snags him with a grappling hook, though, and gets in close enough to land some punches. I've been really impressed with the villains WB has chosen for this game. They're not just sticking with the biggest names. Instead, they're willing to dig into the comic books a bit and select more obscure characters. Gamers who only know Batman from the movies will come away from Origins with quite an education on his rogues' gallery. While the main objective of today's trailer is to announce Firefly's inclusion in the game, it's only one small chunk of the footage. We also get to see various other boss fights from the game. Batman brawls with Bane, Copperhead, the Joker and Deathstroke. It's a busy two-minutes, filled with bloody knives, broken backs and lots of Bat-punches. Maybe the best encounter in the trailer, though, is between Batman and a certain Gotham City Police Department captain named James Gordon. 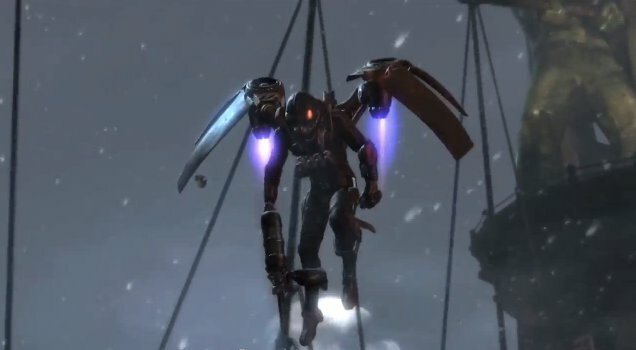 Arkham Origins is set before the other games, before Gordon and Batman were allies. Batman is still considered a menace by law enforcement. I suppose we'll see the beginning of Batman's partnership with Gordon in this game. Arkham Origins will launch worldwide on October 25th. In other words, there's plenty of time for Warner Bros. to announce a few more characters for the game. I can't wait to find out who else they've got tucked up their sleeve.